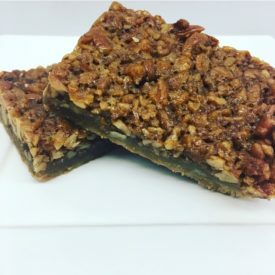 Our signature pecan bourbon bars are made with pecans grown right here in Georgia, at the Mascot Pecan Company! If you like pecan pie, you will love these bars! 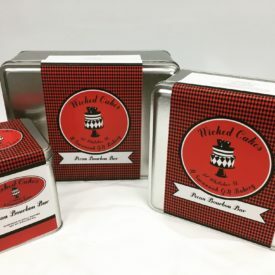 Small tin comes with 4 bars. Our signature pecan bourbon bars are made with pecans grown right here in Georgia, at the Mascot Pecan Company! If you like pecan pie, you will love these bars! 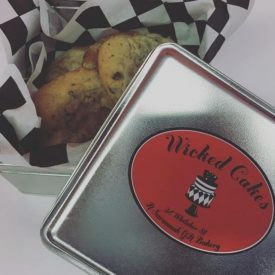 Copyright © 2019 Wicked Cakes of Savannah. All Rights Reserved.